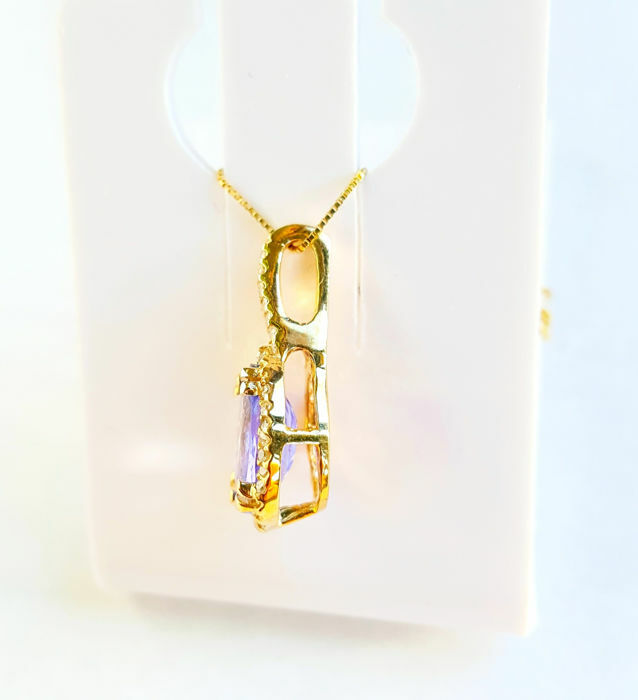 Exclusive 14 kt gold pendant, including 14 necklace. 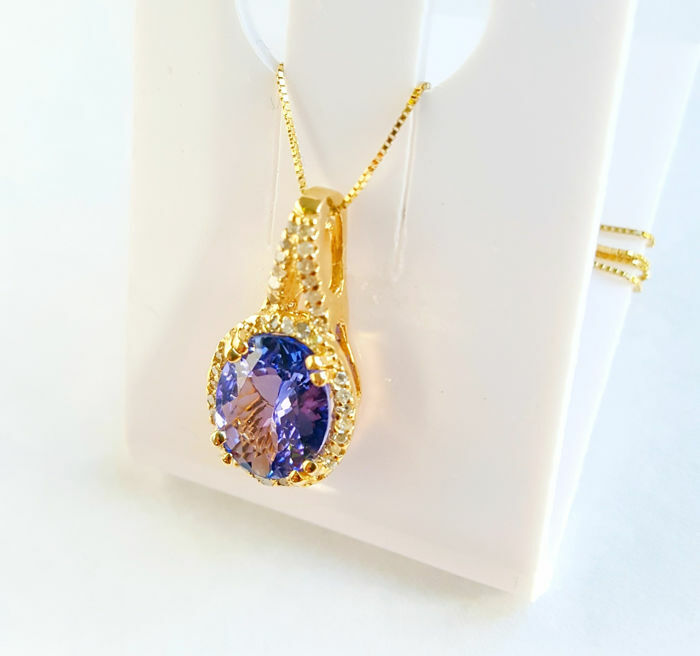 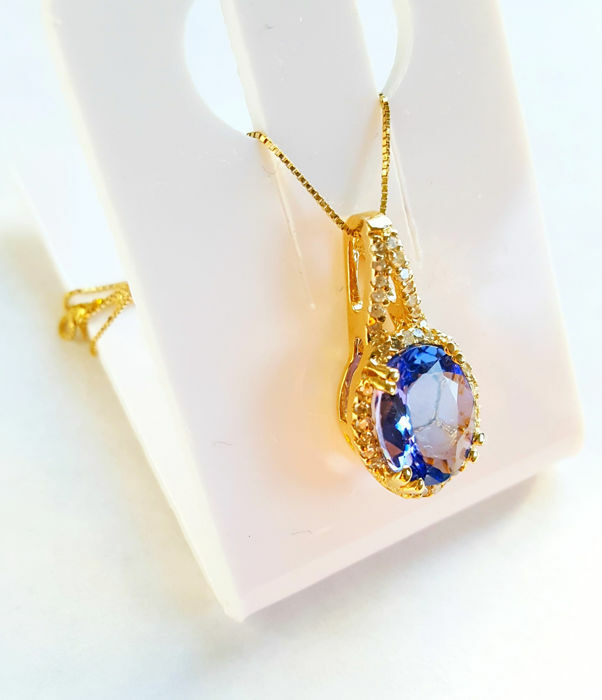 The pendant is set with an AAA quality natural tanzanite, with stunning shine and clarity. 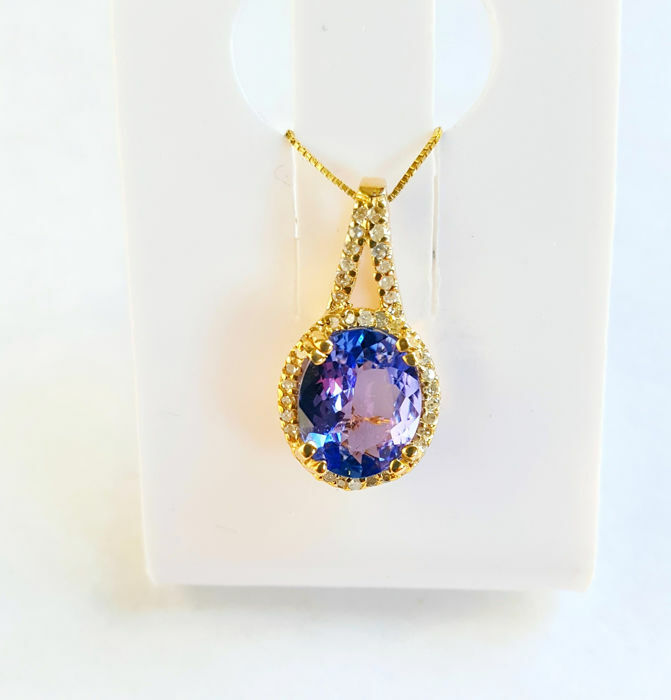 The tanzanite has an intense blue-violet colour and is of high-quality. 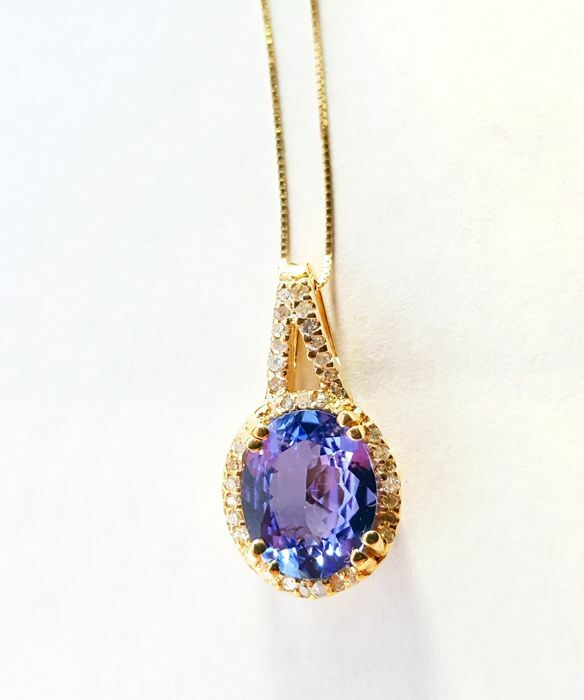 'Gemstones are often treated to improve colour or clarity.